The pick your own summer fruit has finished for 2017. THANK YOU to all our wonderful customers and staff for making it such an enjoyable season. The PYO is over but the farm shop is open year-round. 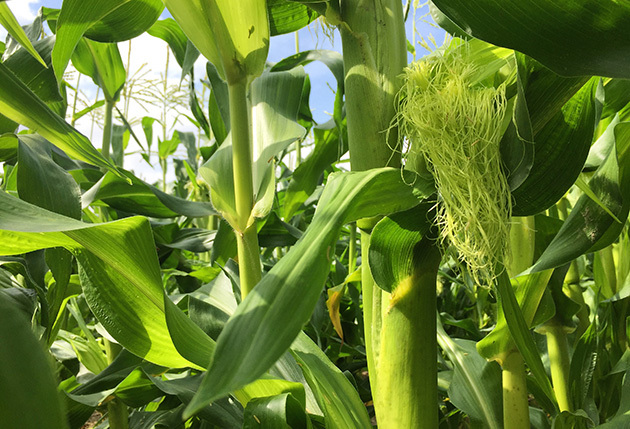 Sweetcorn starts mid-August so stay tuned. Next year will be here before you know it, so sign up to the newsletter to ensure you don’t miss a berry. Late-July: Despite this year’s seemingly everlasting raspberry crop, we predict that this is the last week for raspberries and few strawberries. 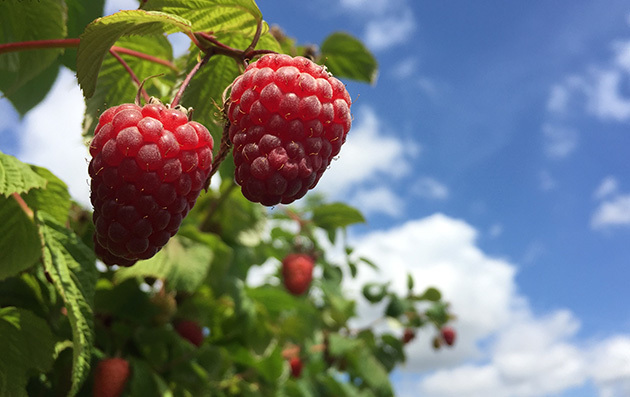 Early July: Masses of raspberries available to pick – an absolute bumper year! 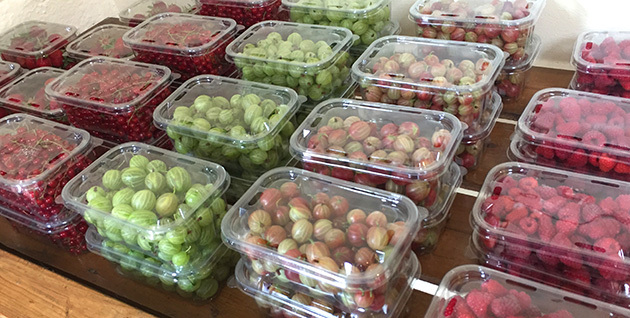 Late June: All the fruit is now ready to pick – adding raspberries, dessert gooseberries, and blackcurrants to the masses of strawberries and redcurrants on the field. 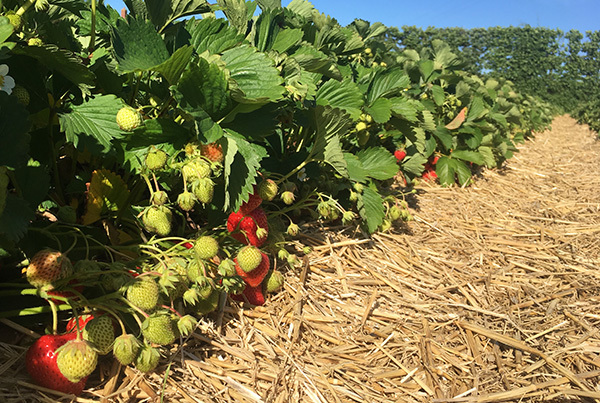 Mid-June 2017: All six varieties of strawberries is now ready for picking, making it very easy picking at the moment. May 2017: The farm is now open for picking the first 2017 summer fruit: strawberries, gooseberries, and also broad beans. The combination of warm weather and rain has brought the crops along at quite a pace, and all crops are easy to pick. We open this bank holiday weekend for picking the first summer fruit! Mark your diary: we expect to pick fruit by the first weekend of June. The combination of recent warm weather and rain has brought the strawberries and gooseberries along well. 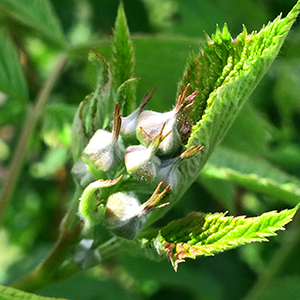 The raspberry flower buds have formed. Welcome to an award winning website!